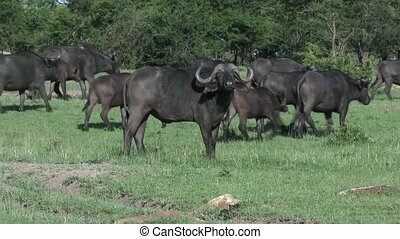 Cape buffalo at chobe, botswana safari wildlife. 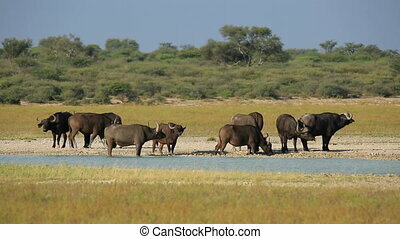 Big herd of african cape buffalo with calf at chobe national park in natural habitat, botswana africa safari wildlife. 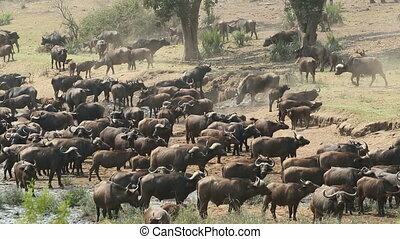 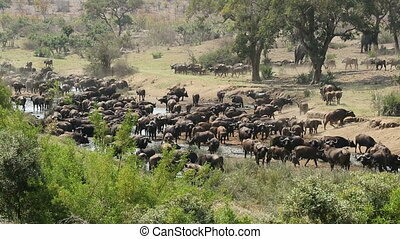 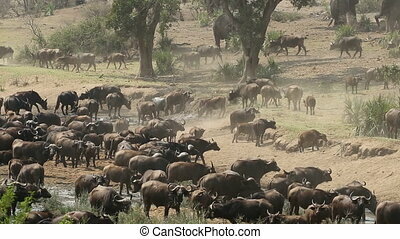 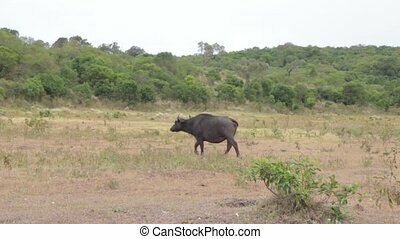 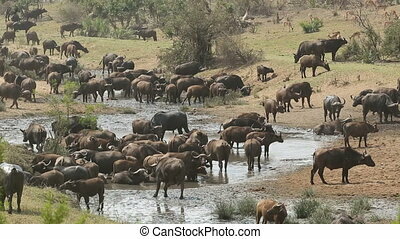 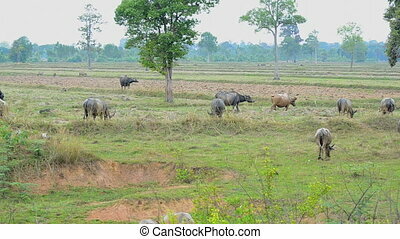 Cape buffalo herd standing in Safari, Tanzania, Africa. 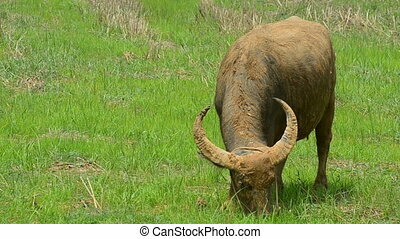 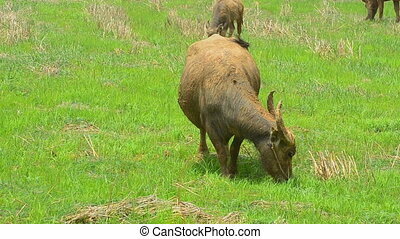 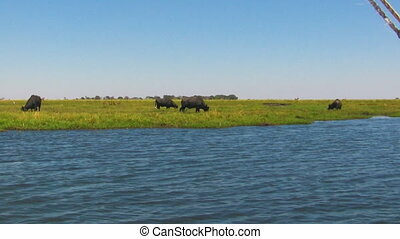 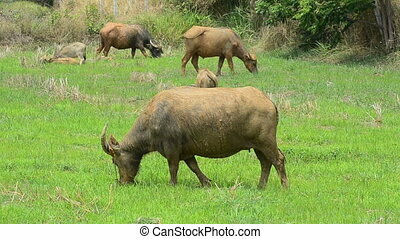 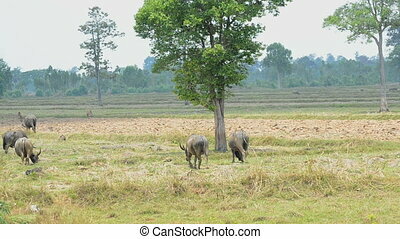 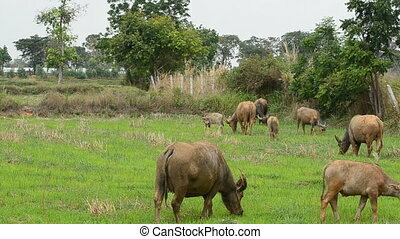 Wild African Cape Buffalo, Syncerus caffer, feeding on grass at river, Chobe Riverfront National Park, Botswana, Africa. 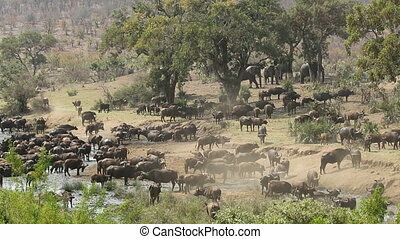 Handheld shot from safari boat.